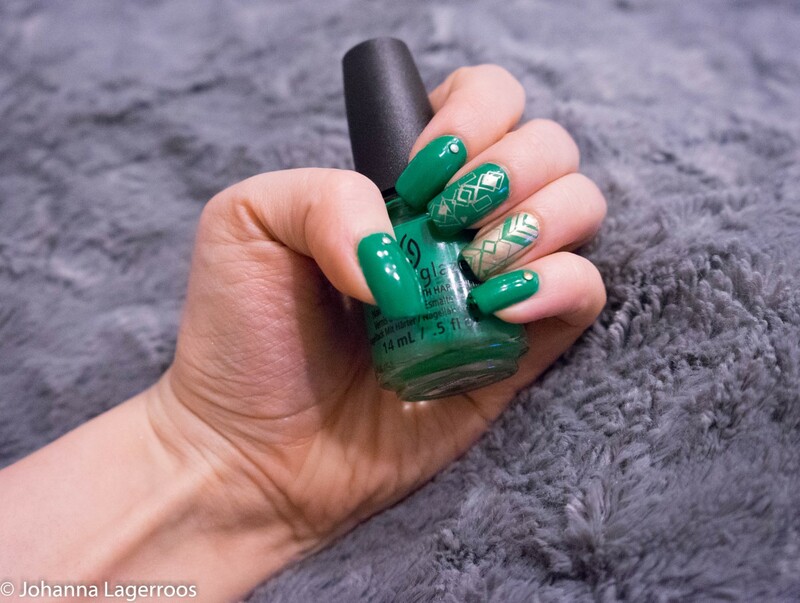 Since we just started another spring month, I feel it's more than appropriate to continue with spring color nails. So, I'm sharing a bright green design with you. 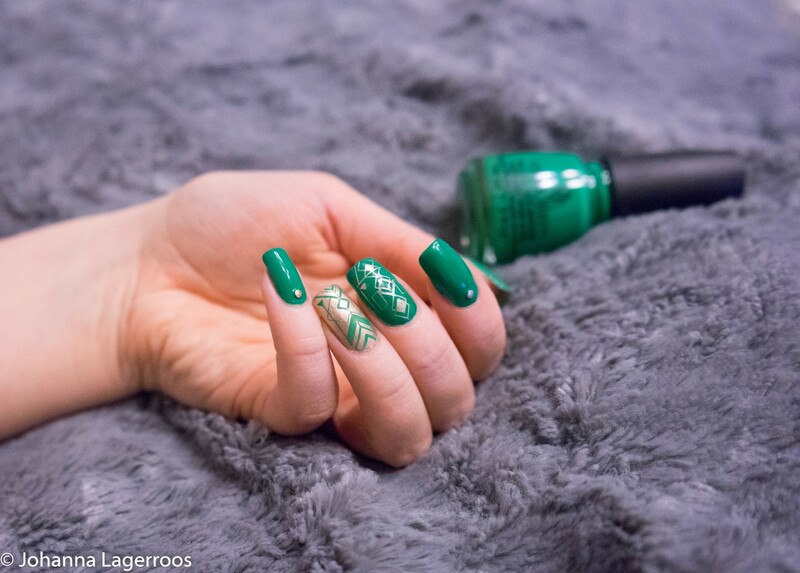 I was so inspired by this green polish a while back and hed to do something fun with it. So I paired it with gold and did this. I'm still trying to perfect my stamping technique as it clearly isn't all there, but I think here I did a decent job at it. I swear the Clear Jelly Stamper I use makes everything work so nicely - although some of my plates aren't the best since I can't get the colors to lift from them, no matter what I do. If I can't figure them out this year, I may have to declutter them. This is once again quite unusual color combo for me but I've been all about that lately. Trying new things. Like currently, when I'm trying how life would feel like with minimum amount of white sugar. I can fully admit I'm craving to have a better body, and while I know I need excercise to achieve what I want, having less unhealthy things in my diet certainly helps. The meat-free month was a nice trial, and I will for sure keep trying more meatless options in the future. 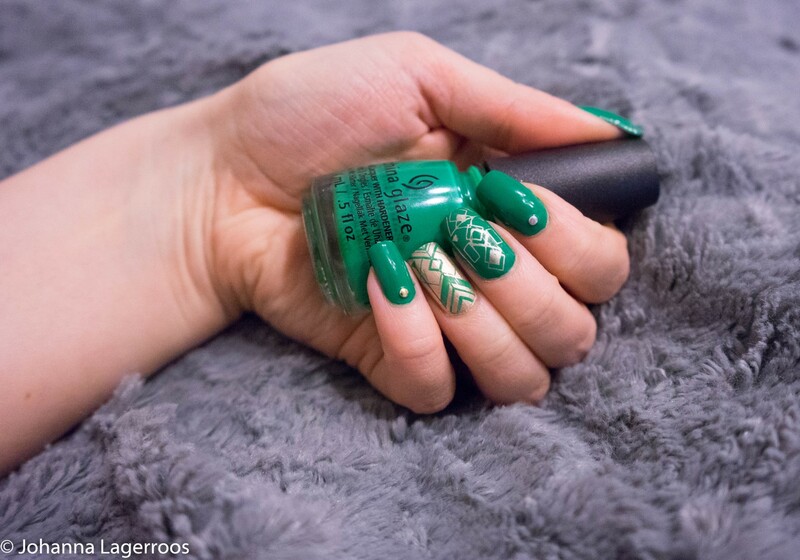 The polishes I used here are: Emerald Bae and High Standards by China Glaze, Dolla Dolla Bill by Clear Jelly Stamper and base coat and fast dry top coat by Glisten & Glow. 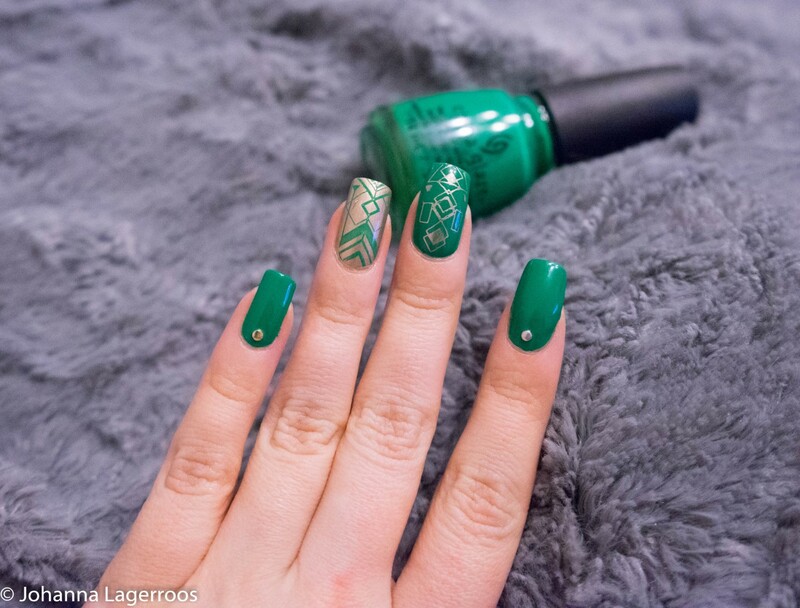 The studs and the stamping plate I used are from Born Pretty Store. That's all I have for you today, I hope you liked this one and maybe even got a bit of inspiration from it. I'm currently having a tough time with the daylight saving time which we convereted to on Sunday, and I'm not yet adjusted to this. So, I'll be tired for the week but I try my best to still be creative and efficient. Let's see how I can handle that. I have some fun posts planned for you in the near future, and I can't wait to see what you think about them! In the meantime, you can follow me on Instagram (@silvertigo), where I post my daily outfits and more. I'll see you in my next post! jälleen tosi kivat kynnet 8) en oo aikaisemmin oikein lämmennyt vihreälle kynsilakalle mut toi kyl toimii!